In the latest piece, which takes the form of a video cast, the Beeb again largely retreads the same theme, seeing SL purely in terms of being a corporate tool. While the piece starts off somewhat positively, looking at the in-world music group, Redzone, and highlighting how they can reach a global audience at minimal cost, it quickly ramps down to kind of narrow-focus piece which tends to typify the fact that, as Draxtor Depres has commented in our Drax Files conversations, much of the media is actually too lazy to make the effort to actually report on SL, and is far more content to retread old themes. In the BBC’s case, this takes the form of once more banging the corporate drum as to how companies poured into SL, “spent millions”, only to subsequently pull-out and raised the idea that “everyone” who used SL has “moved on” to other social media platforms (as if it is a case of one or the other). The general observation that corporations are somewhat more cautious nowadays when investing in social media is actually a fair point to make. However, as an attempt to address the question of “whatever happened to Second Life”, it is at best lopsided, once again generating the impression that simply because “big business” failed to understand and exploit Second Life, the platform itself has passed its sell-by date. It’s an unfortunate angle to take, one which suggests that the BBC consider Second Life to be something barely worth the effort of addressing beyond the scope of past reports, despite this weekend marking the platform’s tenth anniversary. And it is hardly likely that the Beeb weren’t aware of this, given the press release and infographic (rright) the Lab issued earlier in the week on the subject. In fact it’s fair to say that rather than managing to answer the very question they ask in the title of the piece, the BBC seem content to raise several more questions about SL – and then leave them hanging. Which is a shame, because had they bothered to make something of an effort instead of opting the “rinse / repeat” route, they may have discovered some surprising answers. Making something of an effort is exactly what Benny Evangelista, a tech and business writer at the San Francisco Chronicle did. No doubt spurred-on by the Lab’s press release and infographic, Evangelista interviews the Lab’s CEO, Rod Humble. In doing so, he is able to present a piece which is informative, providing some interesting insight into goings-on at the Lab and Humble’s own thinking on the future. In doing so, it goes a heck of a lot further in answering the question marks left in the BBC’s piece. Evangelista: There was once great talk about companies coming in and setting up virtual shops, and it being a potential source of revenue for them. And then they pulled back. Humble: And it was taken up by amateurs or people who specialized in it. So (of) the people who make money now within Second Life, there are people who sublet land, and they help maintain the land. And there are people who make good money – and by good money, I mean hundreds of thousands of dollars a year – making hair, making virtual pets and animals. So it’s those people who are used to the virtual world, rather than big, established companies who are like, “OK, we’ll have a showroom within the world.” So I think (the promise of virtual commerce) was realized, it was just in a very different way. I always hate waxing pretentious, but indulge me for a moment. I do think there’s a shift within the worldwide economy of people making money in more diverse ways. The nature of work itself is changing. In the same way that people make a good livelihood making objects in Second Life, you’re starting to see people generate significant revenue from posting their cat pictures on YouTube. Now you get an ad-sharing thing. 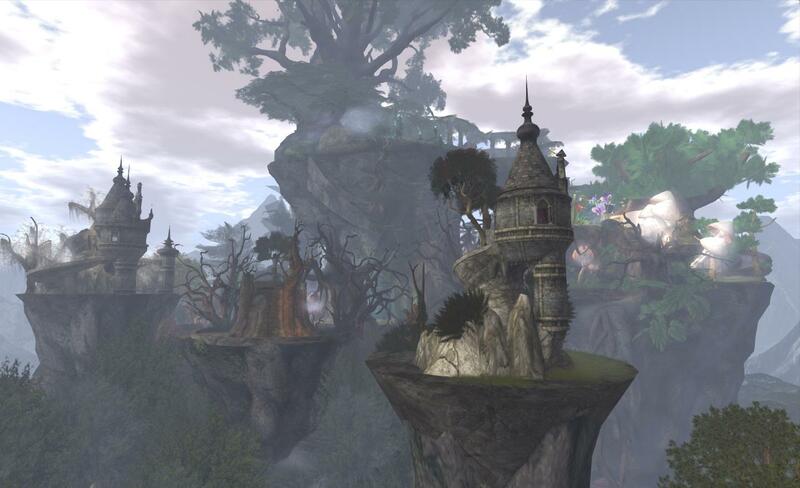 That’s a trend that’s going to continue, and it’s certainly helped propel Second Life. It’s different for sure. I think there is something (about) being within a 3-D space that’s entirely user-created that is more magical than looking at an image on a Web browser. Usually it’s around that sense of place. But also there’s a sense of intimacy when you’re talking with someone in a virtual world, and at any time you can walk around, and you get to see what they’ve chosen to represent themselves, that I think is different from pushing a text message somewhere. I don’t know why it’s different, but it is. Elsewhere in the article, Humble touches on the future and the fact that LL are still investing in Second Life and “virtual worlds”, although – and as he stated a while back in this blog – whatever they’re working on is still a few years down the road. 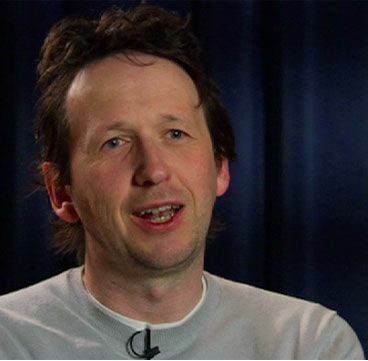 We also know they are investing in at least one other virtual world development: Philip Rosedale’s High Fidelity (scroll down the page of the list of investors). There’s an awful lot of people who tried Second Life and for whatever reason, it didn’t resonate for them. That number is 36 million. That’s a lot of people who tried it and said “meh,” for whatever reason. My aim is to get those people (back). That’s a pretty hefty ambition, however you look at it, and one that speaks strongly to the company’s commitment to virtual environments. It’s easy to critique any piece like the SF Chronicle’s coverage and dismiss it on the basis that the Lab tends to pick and choose the questions it wants to answer (as is the way with most corporations – that’s any most of them have a press office / officer); or to see it as failing to answer the questions we, as users / customers want answered. However, any piece offering so brief a look at Second Life’s long and complex history and internal machinations is bound to come across as “light” in places. There’s also the fact that the media, even if primed, aren’t actually going to be interested in asking many of the questions users might feel deserve answering. As it stands, the SF Chronicle’s piece makes worthwhile reading. Yes there is some re-treading of themes – but again, that’s the nature of the beast with any company wishing to shine a light on its own achievements. More importantly, however, it does give more insight into some of the thinking that goes on at the top of the company, and helps put more perspective on the Lab’s thinking with Second Life and their future directions. Whatever happened to Second Life? Well, it’s doing rather nicely, tyvm. Quotes courtesy of the San Francisco Chronicle. With thanks to Saffia Widdershins for the pointer to the SF Chronicle’s article. The media loved SL briefly, has now hated it for years, and if the day ever comes that SL does shut down, I bet that within a year you’ll start to hear media talk about how visionary & ahead of its time SL was. It’s actually quite common where technology is concerned. Gartner refer to it as the Hype Cycle, wherein the early years of an emerging technology is over-egged to the point where it is expected to solve all the world’s ills (what Gartner call “The Peak of Inflated Expectations”). Then when it doesn’t, it tumbles into the “Trough of Disillusionment”, ignore by the media, written off and left (providing it hasn’t actually died a death) to rise quietly through the “Slope of Enlightenment” as the wider world finally start to grasp what the technology is actually about, and thus reaches its “Plateau of Productivity”. Interestingly, Gartner see SL and virtual worlds as just starting the long haul up the “Slope of Enlightenment”, so in some respects it’s little wonder that some in the media don’t get it; they’ve been too busy dissing it into the Trough of Disillusionment. It’s also interesting that the BBC’s apparent measure of SL’s “success” in 2009 appeared to be based upon the number of news stories about the platform, giving only passing mention to Mark Kingdon’s point that SL had enjoyed a 23% growth in user numbers in the year 2008/2009. As if anything realistically remains front-line news, regardless of the hype surrounding it. SL is very misunderstood by the general public (if they are aware of us at all). Articles like http://en.wikipedia.org/wiki/Criticism_of_Second_Life do not help. Someone with real Wikipedia and SL credentials could do us all a service by updating and correcting this rant and other information sources like it. When (if?) the media researches SL it is all to easy to find negative information. The positive information is often difficult for them to put into context without a personal SL context. Regarding that particular article on Wikipedia, whoever wrote it needs to first go back and learn to write in English. I just had a small epiphany. You know what other company LL reminds me of in some ways? Apple. It was a media darling, then became a complete pariah (I worked for Apple when there was a story in the Merc every other day that “Apple will be closing its doors in just a few months”), then with the help of some mature management (Gil Amelio doesn’t get nearly the credit he deserves for saving Apple), it became the powerhouse it is now. Let’s not forget either that technology-wise, Apple’s been ahead of the game for most of it’s corporate life. I’m not saying that LL is the new Apple, not quite, but there are a lot of parallels, so maybe, just maybe, some of the doom and gloom is unwarranted? Apple fell behind in an industry it helped invent by releasing products too few, too slowly and too expensively. Linden Lab is similar to Apple in that there’s still no successor to their first success. The Apple III released 7 years after Apple II, Second Life just celebrated it’s 10th birthday with only hints so far of a successor. Linden Lab is also similar to Apple from a long time ago in that one of the top reasons its product is abandoned or never purchased is price. Lisa was near 10,000 dollars, the top reason region owners give to abandoning their land is tier cost. Where Apple of old and Linden Lab don’t have a similarity is that Apple fell behind in an industry that skyrocketed. Linden Lab is leading in an industry that well…is largely only as big as it, IMVU and other smaller competitors. There’s no IBM or Microsoft parallel of other virtual world countries doing tens and hundreds of times better. I think a lot of the time when critics of Second Life ask what happened to it, they’re also asking what happened to virtual worlds period. Second Life direly needs competitors for the good of the whole category it belongs to. Coke needed Pepsi and Ford needed GM. It was fine that Apple lost in the 80s because the industry of PCs still soared anyway. It’s not exactly fine that virtual worlds as we know them, and we all have our personal definitions, but if the category was defined by Second Life’s biggest features than its a very small category that deserves criticism for shrinking rather than growing. Years ago Philip spoke to the SL community pointing at his iPhone saying that’s what Second Life needed to be; fast, easy, fun. There’s a lot more to the iPhone than that and there’s a lot more to Apple of today than Apple of old. LIke, they release half a dozen product iterations every year now, they price to meet demand and don’t measure success in how stable their stagnation is like Linden Lab does. As is usual, they have it completely backwards. 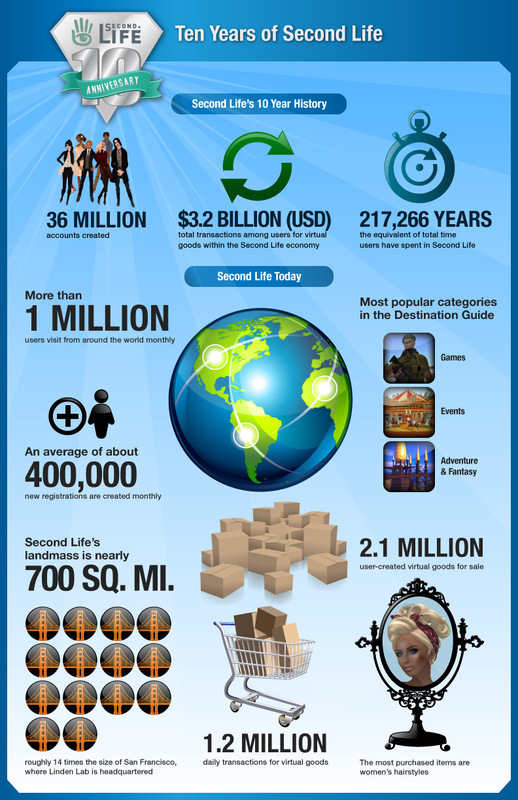 Second Life has been VASTLY profitable for business – the businesses which were started WITHIN it. Companies came in with the idea that they could create some kind of hub, to redirect people somewhere else. We didn’t want to go ANYWHERE else. We got rich, taking their money and building the virtual monuments to ego they thought they needed. They confused place with destination. As Marshall McCluhan said “The medium is the message.” We enter Second Life and we become what we behold. When a young man, uneducated, struggling with a dead end job in Boulder is able to get together with a few equally nutty people in Second Life, and creates a huge architectural business, or a German housewife creates a multi-million dollar real estate empire out of thin air, or I learn something about coding, I consider that a success. Like I said in other locations: extremely disappointed by the BBC’s piece and one only hopes it is merely tech and business they handle in a sloppy manner like that. It cannot be an excuse that public media journalists are under time pressure and financial constraints [NPR, PBS and German broadcasters all sing the same tune]. While there is no doubt IMO that they should be better funded for arts, investigative and international reporting if YOU and I can do coverage of SL with ZERO resources other than perhaps time, it is a sad day the Beeb is using archival footage from 2008 for this thing. One really wonders if there are some hurt feelings because for businesses OUTSIDE of SL it did not work out as planned…. we all know why though!!!! SL should try to make some youtube shows, which isn’t about SL, but made in SL. I liked it, but I would not want to spend much time in SL, except to see what fans of it created. It is the biggest exploration game for me; just imagine to produce quality driven animations with it and start some nice shows on youtube – in a world which is full of assets of every genre, has lots of beautiful sceneries, that would be just an awesome idea. LL could try that approach. Thank you for the article, I just asked myself “what happened to second life”. In terms of video series, you might want to take a look at The Drax Files: World Makers series, which reveals the uses and power of the platform by the people – those running a business, artists, creators, educators, researchers, etc – in their own words. It’s still “about” the platform – but each installment offers a very unique perspective and offers much of what you suggest :). It’s also a series which is achieving widespread recognition (episode 13 having won an award for its content).